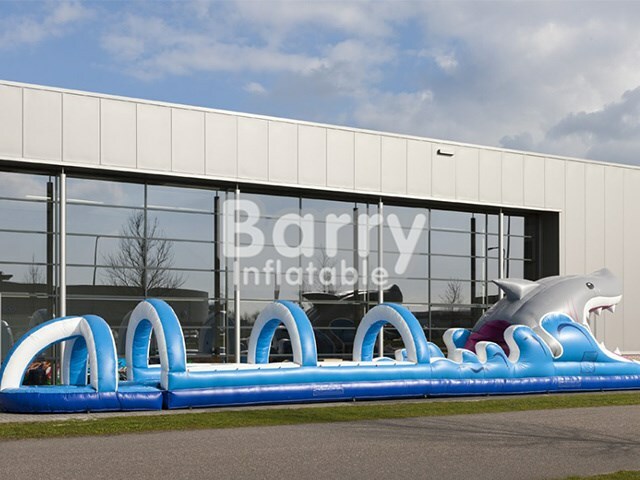 Products - Inflatable Slip and Slide - Cheap Price For Sharp Slip And Slide Water Slides BY-SNS-011 - Guangzhou Barry Industrial Co., Ltd.
Did you know that a belly slide is also known as a Slip ‘n Slide? 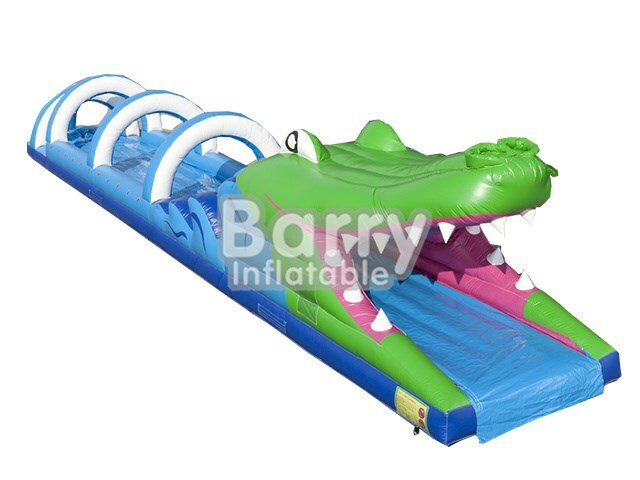 This great for all ages inflatable is incredible fun and is sure to get your customers a little wet ‘n wild! 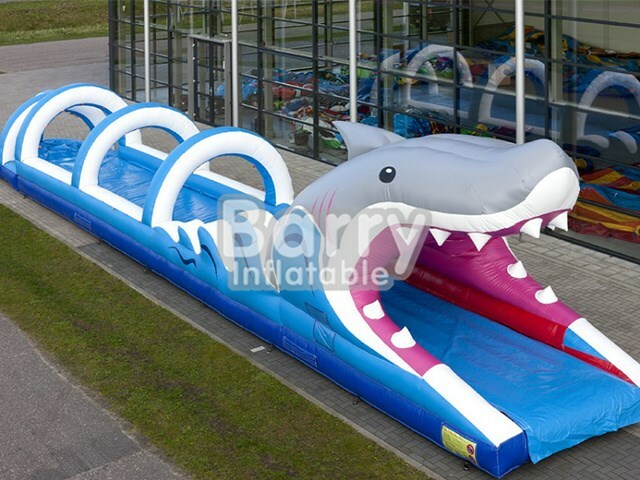 Get wet ‘n wild this season with this incredible, standard 18m Shark Belly slide. 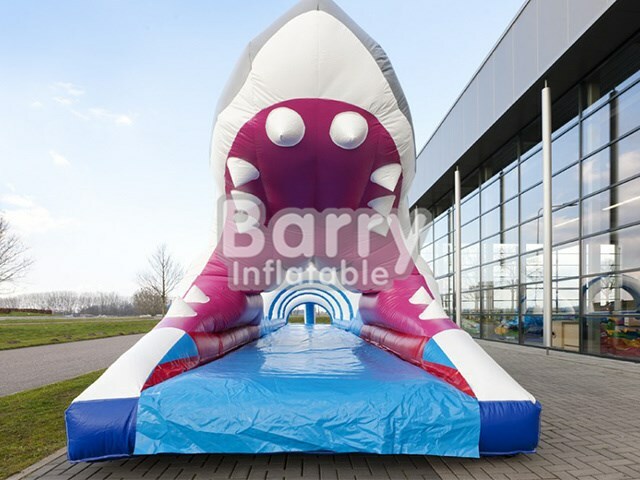 This inflatable belly slide track of up to 18m can be used by two people at once! This belly slide track is fitted with a removable sheet, this so that it will reduce retracted water – this also has a positive effect on the lifespan of the slide. The amazing design attracts youngsters from far and wide! 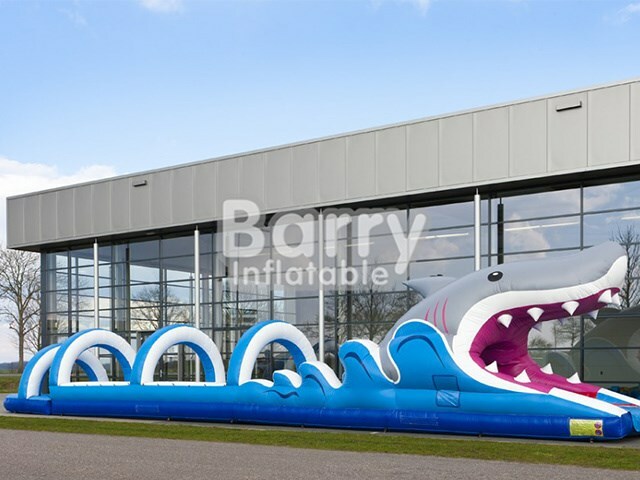 This inflatable is a true eyecatcher. How far can you slip and slide?